Foreign workers in Saudi Arabia, estimated to number about 9 million as of April 2013, began migrating to the country soon after oil was discovered in the late 1930s. Initially, the main influx was composed of Arab and Western technical, professional and administrative personnel, but subsequently substantial numbers came from Southeast Asia. Saudi Arabia has become increasingly dependent on foreign labour, and although foreign workers remain present in technical positions, most are now employed in the agriculture, cleaning and domestic service industries. The hierarchy of foreign workers is often dependent on their country of origin; workers from Arab and Western countries generally hold the highest positions not held by Saudis, and the lower positions are occupied by persons from Africa, South Asia and Southeast Asia. The Saudi government has faced criticism from legal bodies and employers over the treatment of foreign workers. Saudi Arabia was one of the poorest and most undeveloped countries in the world when oil was discovered in the late 1930s. The country therefore needed foreign expertise and labour to exploit its vast oil reserves. 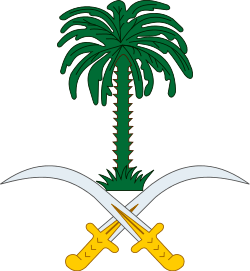 As a result, in the years after World War II there was a growth in the numbers of foreign technical, professional and administrative personnel, mainly from other Middle Eastern countries but also supplied by Western oil companies, many of whom worked for ARAMCO (Arabian-American Oil Company). A much greater increase in the numbers of foreign workers came with the oil-price boom following the 1973 oil crisis. Infrastructure and development plans led to an influx of skilled and unskilled workers, principally Palestinians, Egyptians, Yemenis and others from Arab countries, but also Indians and Pakistanis, leading to a doubling of the Saudi population by 1985. Beginning in the early 1980s, South and East Asian countries, such as Thailand, Philippines and South Korea, increasingly provided migrant workers. From 1985 the declining oil price led to a decreased demand for foreign labour, resulting in a substantial drop in migration from Asia. However, at the same time, there was a significant increase of female "guest workers" from Sri Lanka, Bangladesh, Philippines and Indonesia who filled roles in the services sector – particularly in hotels and as domestic servants. The Gulf War of 1991 sparked a series of expulsions of guest workers suspected of disloyalty, including the removal of 800,000 Yemenis. The numbers of foreign workers reached a plateau in the 1990s, but from the end of the decade the inflow of migrants resumed its increase. According to official figures in 2012, foreign workers filled 66 per cent of jobs in Saudi Arabia, despite an official unemployment rate of 12 per cent amongst Saudis, and expatriates sent, on average, US$18 billion each year, in remittances to their home countries. Although the country's reliance on foreign workers has been a concern to the Saudi government since the mid-1950s, the situation has persisted because of a reluctance by Saudis to take on menial work and a shortage of Saudi candidates for skilled jobs. This has, in part, been blamed on the Saudi education system, which has been criticized for its emphasis on religion and rote learning. The Saudi economy has, therefore, remained dependent on Westerners for expertise in specialised industries and on the Asian workforce for the construction industry as well as for menial and unskilled tasks. In response, since 1995 the Saudi government has initiated a policy of Saudization, replacing foreign workers with Saudi nationals. For example, in 2000, it was decreed that the work force of businesses with more than 20 employees must be at least 25 per cent Saudi. In the private sector, there has been a reluctance to employ Saudis and Saudization is generally considered to have been a failure. Saudis themselves may be unwilling to take certain jobs, considering them to lack social value. The Saudi government only recognises contracts for foreign workers written in Arabic. Where bilingual contracts are available, the Arabic language one is authoritative. The contracts, which must contain the terms of employment, are held in duplicate, one for the sponsor and one for the worker. Wages for foreign workers vary, depending on the position, although in general Saudis holding similar positions earn more. The 2010 edition of the Central Intelligence Agency's World Factbook estimated that non-nationals represented 5,576,076 out of a population of 25,731,776 in Saudi Arabia. However, official 2010 census figures stated that there were 8,429,401 expatriates out of a total population of 27,136,977 or roughly 31 per cent of the total. The results of the 2004 census indicates that only about 15 per cent of foreign workers are in the skilled category, with the remainder mostly working in agriculture, cleaning and domestic service. Country of origin has been an important factor in determining foreign workers' occupational roles in Saudi Arabia. Saudi businesses have traditionally adopted an ethnically defined hierarchical organisation. For example, a recent academic study of a Danish manufacturing company's Saudi subsidiary noted that a manager had to be European, a supervisor had to be Egyptian, Filipino employees often had technical roles, and Indians, the lowest in the hierarchy, worked in production. Foreign workers' presence in Saudi Arabia tends to be transitory: only 3% remain in the country for more than six years. Most specialized technical workers are American or European, and are occupied particularly in the defence and petrochemical industries. Westerners generally feel that they are paid well and have excellent living conditions and housing with schooling paid for by their employers. They often live in compounds or gated communities, such as the Saudi Aramco compound at Dhahran Camp. However, many Westerners left the country in 2003 and 2004 following the terrorist attacks in Riyadh, Khobar and Yanbu. A significant number of U.S. workers are English teachers. Additionally Egyptians have long migrated to Saudi Arabia to take up professional jobs such as doctors, nurses, teachers and engineers, as have Filipinos to work in the health, oil and manufacturing sectors. According to The Guardian, as of 2013 there were more than half a million foreign-born domestic workers in Saudi Arabia. Most have backgrounds in poverty and come from Africa, the Indian subcontinent and Southeast Asia. To go to work in Saudi Arabia, they must often pay large sums to recruitment agencies in their home countries. The agencies then handle the necessary legal paperwork. Some falsify their dates of birth, allowing them easier access to the country. These workers can bring much-needed capital to their home countries, sometimes in the billions of dollars. All visitors to Saudi Arabia must have a sponsor, which is usually arranged months in advance. Unlike countries which recognize the Universal Declaration of Human Rights (which declares in part "Everyone has the right to leave any country, including his own") Saudi Arabia requires foreign workers to have their sponsor's permission to enter and leave the country, and denies exit to those with work disputes pending in court. Sponsors generally confiscate passports while workers are in the country; sometimes employers also hold passports of workers' family members. Foreign workers must be free of infectious disease, including HIV. Many domestic servants in Saudi Arabia are treated adequately, but there have been numerous cases of abuse. Foreign workers have been raped, exploited, under- or unpaid, physically abused, overworked and locked in their places of employment. The international organisation Human Rights Watch (HRW) describes these conditions as "near-slavery" and attributes them to "deeply rooted gender, religious, and racial discrimination". In many cases the workers are unwilling to report their employers for fear of losing their jobs or further abuse. Other forms of general discrimination, such as a lack of freedom of religion for non-Sunni Muslims, are also applicable. Some American English teachers have complained they were not informed of a 90-day probation period. According to a spokesperson from HRW, Saudi Arabian law does not provide strong legal protection for migrant workers and housemaids. As such, they face "arbitrary arrests, unfair trials and harsh punishments" and may falsely be accused of crime. Amnesty International reports that those charged are often unable to follow the court proceedings, as they are often unable to speak the language and are not given interpreters or legal counsel. Foreign workers have been charged with various crimes, including theft, murder and "black magic". After a worker is convicted and sentenced to death, in many cases the worker's home government is not notified. When the country's representatives are notified, it is often difficult for them to argue for a commutation of sentence. Efforts by the Indonesian government in 2011, for example, required the victims' families to grant clemency and be given diyya ("blood money") in the millions of riyal[lower-alpha 1] before the Saudi government would consider the case. As of January 2013, the majority of foreign workers held on death row in Saudi Arabia come from Indonesia. These conditions have sparked condemnation both inside and outside of Saudi Arabia. In 2002, Grand Mufti Abdul-Azeez ibn Abdullaah Aal ash-Shaikh argued that Islam required employers to honour their contracts and not intimidate, blackmail or threaten their workers. Several executions have sparked international outcries. In June 2011 Ruyati binti Satubi, an Indonesian maid, was beheaded for killing her employer's wife, reportedly after years of abuse. A video of the execution, posted online, prompted extensive criticism. In September 2011 a Sudanese migrant worker was beheaded for "sorcery", an execution which Amnesty International condemned as "appalling". In January 2013 a Sri Lankan maid named Rizana Nafeek was beheaded after she was convicted of murdering a child under her care, an occurrence which she attributed to the infant choking. The execution drew international condemnation of the government's practices and led Sri Lanka to recall its ambassador. These are not isolated cases. According to figures by Amnesty International, in 2010 at least 27 migrant workers were executed and, as of January 2013, more than 45 foreign maids were on death row awaiting execution. In 2015 Saudi Arabia introduced reforms in an attempt to fix its laws and protect foreign workers. ↑ At September 2013 rates, this was equivalent to hundreds of thousands to millions of US dollars. ↑ El Ghonemy, Mohamad Riad (1998). Affluence and poverty in the Middle East. p. 56. ISBN 978-0-415-10033-5. 1 2 Gibney, Matthew J.; Hansen, Randall (2005). Immigration and Asylum: From 1900 to the Present. p. 403. ISBN 978-1576077962. 1 2 3 4 5 Gibney, Matthew J.; Hansen, Randall (2005). Immigration and Asylum: From 1900 to the Present. p. 404. ISBN 978-1576077962. 1 2 Gibney, Matthew J.; Hansen, Randall (2005). Immigration and Asylum: From 1900 to the Present. p. 405. ISBN 978-1576077962. ↑ Niblock, Tim (2006). Saudi Arabia: Power, Legitimacy and Survival. p. 75. ISBN 978-0415303101. ↑ "Saudi Arabia pays a price for crackdown on foreign workers". The Globe and Mail. 11 April 2013. Retrieved 1 May 2013. 1 2 al-Rasheed, Madawi (2002). A History of Saudi Arabia. p. 152. ISBN 978-0521644129. ↑ "Saudi Arabia's Education Reforms Emphasize Training for Jobs". The Chronicle of Higher Education. 3 October 2010. Retrieved 12 January 2012. ↑ Menoret, Pascal; Camiller, Patrick (2005). The Saudi enigma: A History. p. xiii. ISBN 978-1842776056. 1 2 Cordesman, Anthony H. (2003). Saudi Arabia Enters the Twenty-First Century: The Political, Foreign Policy, Economic, and Energy Dimensions. Westport: Praeger. pp. 271–273. ISBN 978-0-313-01624-0. 1 2 3 4 5 6 7 8 9 10 Human Rights Watch (14 July 2004). "'Bad Dreams:' Exploitation and Abuse of Migrant Workers in Saudi Arabia". United Nations High Commissioner for Refugees. Retrieved 14 January 2013. ↑ "Saudi Arabia". The World Factbook. Central Intelligence Agency. ↑ "Saudi Gazette: Nov. 24, 2010 – Census shows Kingdom’s population at more than 27 million"
1 2 3 4 5 6 7 8 9 10 11 12 "Arab versus Asian migrant workers in the GCC countries" (PDF). p. 10. Retrieved 1 May 2010. 1 2 3 Bowen, Wayne H. (2007). The History of Saudi Arabia. p. 6. ISBN 978-0313340123. ↑ Cordesman, Anthony H.; Corobaid, Nawaf (2005). National Security in Saudi Arabia: Threats, Responses, and Challenges. p. 374. ISBN 978-0275988111. 1 2 Lytras, Miltiadis D. (2009). Knowledge Ecology in Global Business: Managing Intellectual Capital. pp. 7–8. ISBN 978-1605662718. ↑ Weston, Mark (2008). Prophets and Princes: Saudi Arabia from the Muhammad to the Present. p. 276. ISBN 978-0470182574. ↑ Etheredge, Laura S. (2011). Middle East: Region in Transition, Saudi Arabia and Yemen. p. 8. ISBN 978-1615303359. 1 2 Zuhur, Sherifa (2011). Middle East in Focus: Saudi Arabia. p. 212. ISBN 978-1598845716. ↑ Zuhur, Sherifa (2011). Middle East in Focus: Saudi Arabia. p. 211. ISBN 978-1598845716. 1 2 3 4 5 6 7 Chamberlain, Gethin (13 January 2013). "Saudi Arabia's treatment of foreign workers under fire after beheading of Sri Lankan maid". The Guardian. Retrieved 14 January 2013. ↑ Gore, Alex (13 January 2013). "The maids on Saudi Arabia's death row: Scores of foreign women facing execution for child abuse, witchcraft... and killing would-be rapists". The Daily Mail. Retrieved 14 January 2013. 1 2 3 Sijabat, Ridwan Max (8 July 2012). "Hundreds of Indonesians on death row". The Jakarta Post. Retrieved 14 January 2013. ↑ "Indonesia 'feels cheated' by Saudi government". Jakarta Post. 21 June 2011. Retrieved 14 January 2013. ↑ "Ruyati beheading is a blow to SBY's claims". Jakarta Post. 20 June 2011. Retrieved 14 January 2013. ↑ "Sudanese man executed in Saudi Arabia for 'witchcraft and sorcery'". Sudan Tribune. 24 September 2011. Retrieved 15 January 2013. ↑ "Saudi Arabia executes man convicted of "sorcery"". Amnesty International. 20 September 2011. Retrieved 15 January 2012. ↑ "The plight of migrant workers in Saudi Arabia". Al Jazeera. 12 January 2013. Retrieved 14 January 2013. ↑ "The beheading of a housemaid in Saudi Arabia highlights slave-like conditions". The Independent. 15 January 2013. Retrieved 15 January 2013.